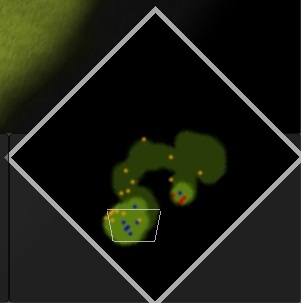 The most common algorithm used in RTS pathfinding is A*. This algorithm traverses lists of nodes in a specific order to reduce the number of nodes processed while ensuring the fastest path is taken, and requires very little preprocessing of the map data for a trivial implementation. 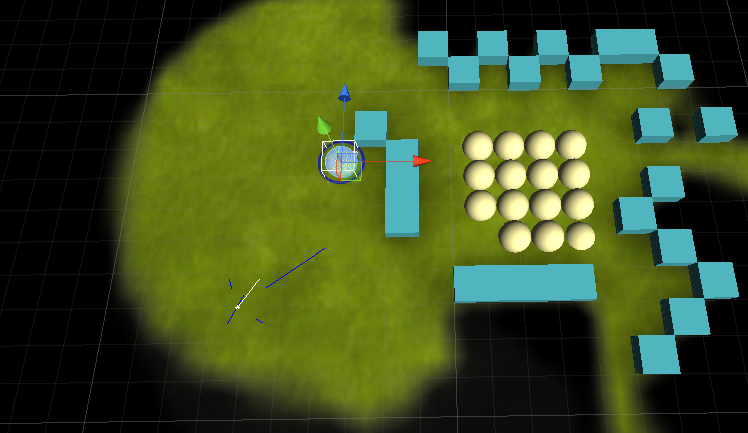 Unity RTS is designed to use this same concept, but combined with flow fields to allow more natural movements (removing the grid-aligned movements in unprocessed A*). 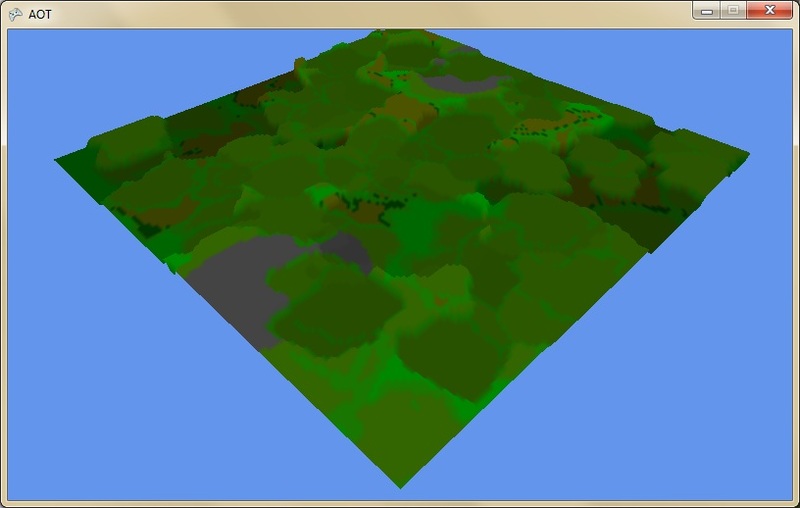 Firstly, a map is created with a value for each terrain cell, which represents if that cell is occupied or not. An int is used here, so that objects stacked on top of each other work correctly when added/removed. An A* pass then propagates the cost values throughout the terrain, but with a small change. When propagating a cost to each cell, the value used is the minimum of (from_cost + 1) or ((from_cost + neighbour_cost) / 2 + 1). This means costs can be propagated diagonally. The most extreme case, where neighbour is 0 and from is 1, this results in a value of 1.5 (quite close to the correct 1.41 when using cell distances). 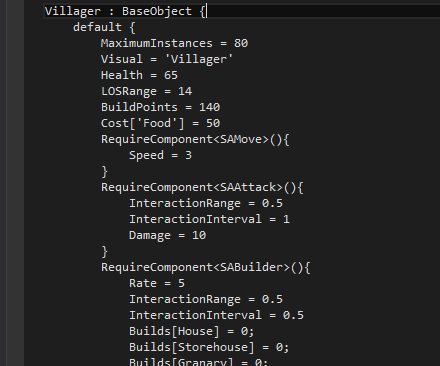 Objects then move by calculating a movement direction from this persistent pathing query. First the interpolated value at the objects exact position is calculated (based on the 4 surrounding corners). Then for each corner, a desired direction is calculated and finally averaged to get the movement direction. A final piece of code tries to prevent directions from pointing into blocked areas, though is not necessary. Where deltaP is the object position relative to the corner, ratio is the ratio of cost to distance. Of course, this can result in a division by zero; such a case indicates that the unit should move exactly toward the corner (ignoring cost calculation errors); cdir just needs to be very big in this case to overpower the directions from any other lesser corners. A lot more goes into the pathfinding of a AAA RTS, you can read a little about how Starcraft handles their pathfinding here, or a little about Age of Empires pathfinding here. When targeting the selected object, the blue lines display the direction each corner is suggesting that the object move in, the white is the resulting normalised sum of these directions. This project is the same as in Part 4 (I just took a long time to write it up), Download, Webplayer. 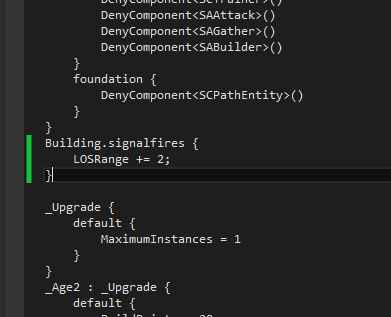 I’m going to start a series on building the major components of an RTS in Unity, starting with how to develop a typical framework. RTS games remain one of the most complex and difficult game types to create, dont expect to have anything fancy working for quite a long time. 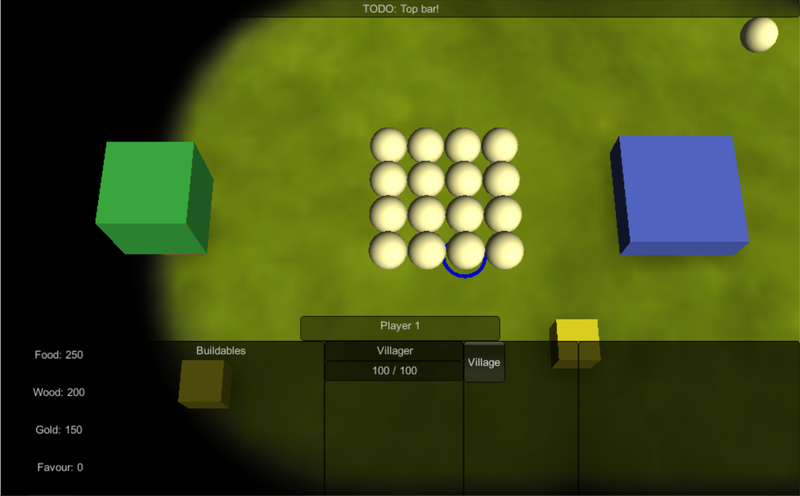 Most developers looking to build an RTS will be looking to include a multiplayer component. I wont go into a lot of detail, but supporting multiplayer in a game with hundreds of active units constantly doing things in the world is quite difficult; 1500 Archers on a 28.8: Network Programming in Age of Empires and Beyond does a much better job of explaining the typical approach used (though some other approaches also exist). A well designed RTS should have a layer which all input “Commands” pass before interacting with the world; this layer synchronises actions through to the various clients to ensure the world simulates correctly for each client. To ensure the game simulates correctly on all clients, no gameplay-altering information should ever leak into the entities or their actions/components except through generating Commands. Unfortunately, Unity makes this constraint very difficult to enforce; at any point a script can change the state of an entity or an action can query the Input class and cause a client desync. It is entirely up to the programmer to make sure that never happens. Its very simple, dont expect much. 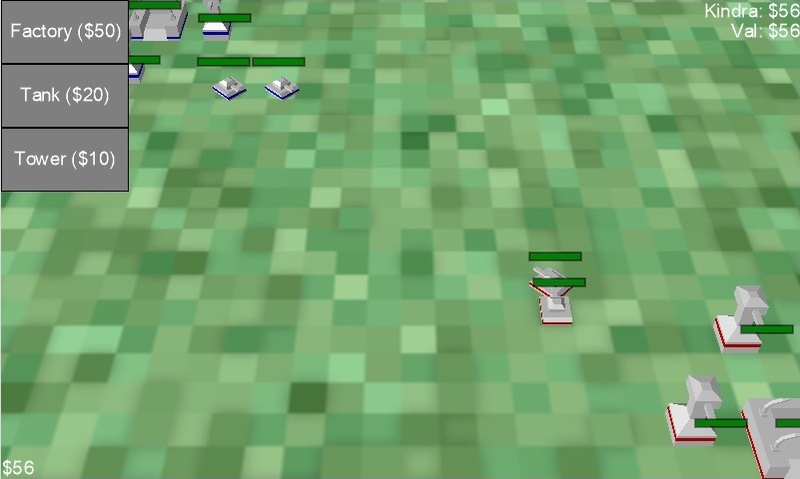 This project contains a working Action system, though has only a partially implemented Move action. Entities can be selected by clicking or box-selecting them, they can then be ordered to move by right-clicking the terrain or another entity. Right-clicking another entity will cause the target position to continually update, and cause the entities to follow. New actions can be implemented in a similar way, and then dragged onto the object via the inspector. An AttackAction may subclass the MoveAction and only run base.Step() when the object is too far away to attack. 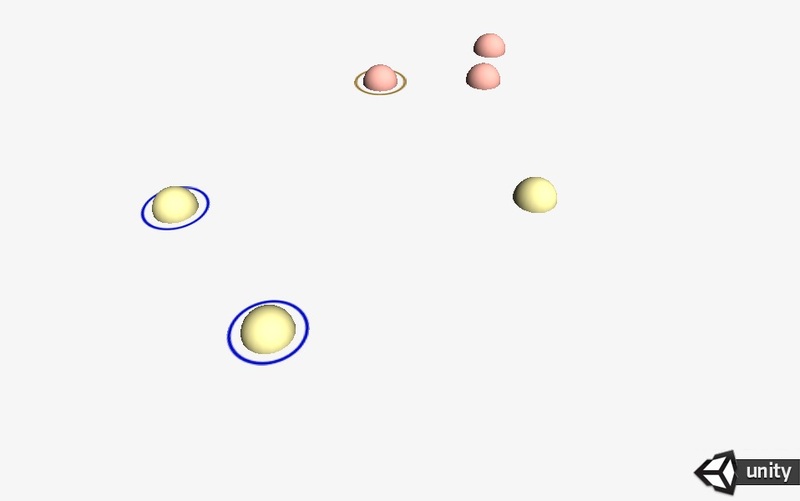 Once the objects are in range, it can then begin the attack logic. The action with the highest score for a given request is used, thus an attack action returning a score of 2 when targeted at an enemy entity would be used instead of the MoveAction returning a score of 1. I was planning on doing Uni work this weekend, but lots of friends were entering the Ludum Dare gamejam, and the theme was pretty cool, “Minimalist”. I decided to put together the quickest RTS I could, based off of SimWar. I’m pretty happy with the results, especially for less than 24 hours of development time. It gave me a good way to test how the networking would work for RTS4. It also allowed me to test the simulation rate being significantly slower than the rendered framerate (simulation is at 4fps) and the visuals being interpolated. I had previously been told that this wouldn’t work, however it seems to be quite effective and wold make fast forwarding through replays much faster. Something I have found needlessly difficult while developing graphics abstractions in C++ was offering a simple, elegant and effortless way to declare new vertex structures, and ensure all required attributes are bound automatically. One way I found around this problem is to not have a vertex structure; instead require the developer to fill a separate array for each parameter they wanted in the vertex declaration. The system could then determine which arrays were filled, assert that they are all the same size, create a vertex declaration, and interleave the data. The benefits of this system is that it can (although didn’t in my trivial implementation) support any combination of fields within the vertex declaration; the obvious drawback is that it is up to the programmer to ensure each array is the correct size, and often requires splitting already nicely-interleaved vertices to separate arrays, just to be re-interleaved later in the pipeline. Then leave unrequired fields as their default. This approach is very easy to implement, but of course has pretty bad memory repercussions, always taking 17*4 bytes for every vertex. It also will not allow the developer to create custom fields, or rename the existing fields, resulting in, for example, having to force the tangent vector into the first 3 floats of BoneWeights. This structure gets reflected when used in a VertexBuffer<T>, and the fields in the struct are reflected to determine how the field should be serialized/bound, and a VertexDeclaration object is created caching the fields and their descriptions for the next time this structure is used. Vector3 and Color have default attributes, which tells the VertexDeclaration, when it reflects, how the data is laid out in the type, and how it should be bound to a shader. Color2 shows an example of overriding the default with its own format/layout. One issue remains with this declaration; signed bytes used for normals need to be normalized, but retain their sign. The current meta-data does not yet store if a Fixed type is signed or unsigned, and is assumed to be unsigned. Two possible fixes for this is to add a Signed boolean, or extend the Format to include FixedSigned. I am waiting to see how this system is used to determine which would be the preferable option (the former is more flexible; allowing unsigned Integer and Float types (where possible), the latter would minimise the fields in VertexAttributes to 3). I’ve decided to create a blog to document progress on random projects I’m working on, the latest one being an AOM-inspired RTS. This is impossible by simply modding the existing game, and doing that would be no fun, so instead I am on my way to build my own game, attempting to achieve the same style and feel as AoM, but going beyond what was possible back in 2001, when Ensemble built their masterpiece. The modding community at http://aom.heavengames.com/ has invested a huge amount of time and effort into building innovative and wonderful extensions and tweaks for the game which should not be ignored. This new game will be built to take advantage of as many of these assets as possible. Age of Mythology has quite a unique random mapping system, in which a relatively short code file builds a complex, beautiful, and balanced game world with a given seed. This gives an effectively infinite number of possible maps each with unique opportunities for strategies and gameplay. These maps are written in a language called XScript, in an environment called RMS. 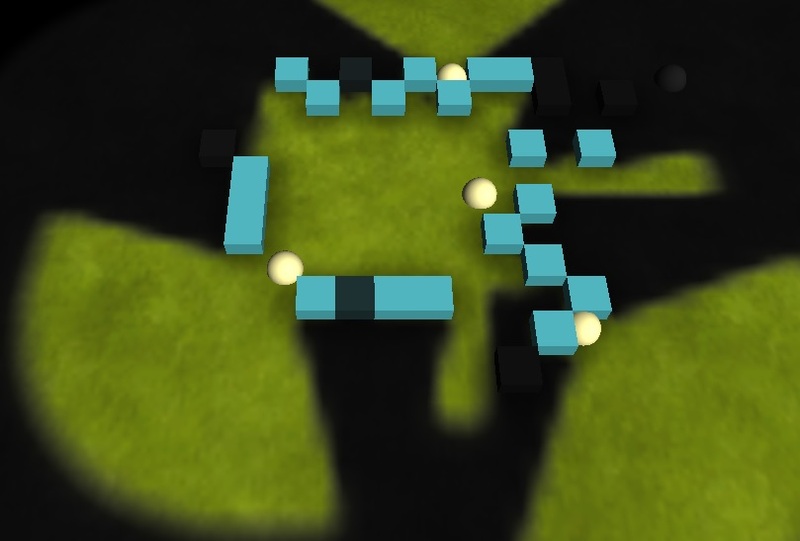 The maps define Areas with tile sets to decorate and define those areas, Connections connecting the various areas and ensuring paths are possible, and object/player placements. I have not yet investigated in much detail how the AI works in Age of Mythology, but this appears to also make use of the XScript language to define behavioral properties. Age of Mythology is a very data driven game, most properties about the buildings, units, god powers, and tech tree of the game is driven by XML files. An XML file for a building will describe all the units which can be produced from it, through icons in a grid. The system can then look the data file for the units to extract more information about them. The units can then have their own set of actions for things they can produce, which then reference yet more entities. A number of constraints on these items prevents them from being visible until the appropriate tech has been unlocked. More progress has been made at the time of this writing, but the initial build looked something like this with the acropolis.xs map loaded. This build had a very rough first-pass area system just for testing, had scale issues, and didnt support smoothing properly, but this shows the XScript compiler working, a map loading, and the API’s being executed correctly.